Canadian Rev. Thomas Oliver felt the need for a typewriter to write his sermons and decided to design his own. The result was one of the best known brands in the history of the typewriter. The first model appeared in 1895. The typebars were placed like wings on the top sides of the machine, consituting a major step in the direction of visible writing. A total of about 5,000 Oliver 1s were built, making it an extremely rare machine today. 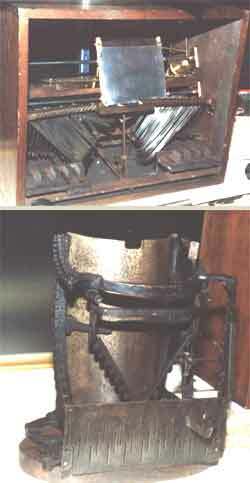 One striking difference between the Oliver 1 and later models is that on the Oliver 1 the base of the machine was completely flat. 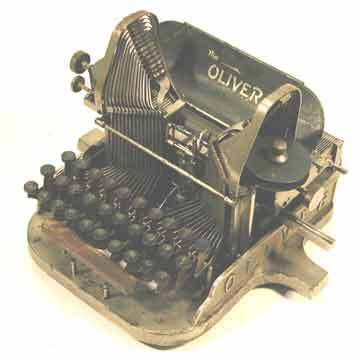 The Oliver 1 was completely nickel plated. All later models, with the exception of some export models, were painted olive green. Also see the book â€œTypewriterâ€�, page 117.